The film was directed by Mansoor Khan and co-starred Juhi Chawla, Dalip Tahil and Alok Nath. The film was loosely based on Romeo and Juliet. The movie was a huge blockbuster hit of the year. Mansoor Khan won Filmfare Best Director Awards and Aamir Khan won Filmfare Best Male Debut award for the film. The film music album was also a major hit and Udit Narayan voice was appreciated by fans all over the world. The movie was remade in telugu as Akkada Ammayi Ikkada Abbayi starring Pawan Kalyan,Supriya, Chandra Mohan and Sarath Babu. The film was directed by Indra Kumar and co-starred Madhuri Dixit, Saeed Jaffrey, Deven Verma and Anupam Kher. Although the film release date was clashed with Sunny Deol‘s Ghayal the movie become a major hit of the year collecting INR 180 millions at box office. Madhuri Dixit won Filmfare Best Actress Award for her performance in Dil. Because of its success it was remade in Telugu as Tholi Muddhu starring Prashanth, Divya Bharti, Rambha and Brahmanandam. Film was directed by directed by M.R Shahjahan and co-starred Neelam Kothari, Deepak Tijori, Neeta Puri and Rakesh Bedi. The song “Tip Tip Baarish” sung by Amit Kumar and Asha Bhosle was a sensational hit. It was directed by Mahesh Bhatt and co-starred Pooja Bhatt, Anupam Kher and Tiku Talsania. Aamir Khan received nomination for Filmfare Best Actor Award. 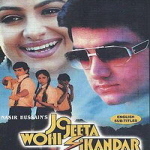 It was directed by Mansoor Khan and co-starred Ayesha Jhulka, Mamik Singh, Deepak Tijori and Pooja Bedi. The movie grossed INR728 million at box office. Jatin-Lalit received nomination for Filmfare Best Music Director Award. It was remade in Bengali as Champion, Telugu as Thammudu and Tamil as Badri. Film was directed by Mahesh Bhatt and co-starred Juhi Chawla, Sharokh Bharucha and Kunal Khemu. The film was remake of Hollywood movie named Houseboat. The film won Filmfare Best Film Award, Juhi Chawla won Filmfare Best Actress Award for her role. film was directed by Rajkumar Santoshi and co-starred Salman Khan, Karisma Kapoor, Raveena Tandon, Paresh Rawal and Shakti Kapoor. 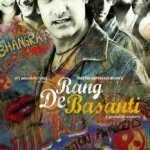 The film grossed INR79.02 millions at box office. Aamir Khan received nomination for Filmfare Best Actor award. Though the film didn’t impress the box-office subsequently it developed great fan base. Film was directed by Ashutosh Gowariker and co-starred Mamta Kulkarni, Paresh Rawal and Avtar Gill. The film collected INR 92.5 million at box office and declared as a moderate hit. Film was directed by Ram Gopal Varma and co-starred Jackie Shroff, Urmila Matondkar, Gulshan Grover and Avtar Gill. Film collected INR210 million at box office and became the fourth highest grosser of 1995. ‘Tanha Tanha’ and ‘Rangeela Re’ Songs became huge hit for years. Ram Gopal Varma received Filmfare Best Story Award for the film. Film was directed by Dharmesh Darshan and co-starred Karisma Kapoor, Rajwinder Deol, Suresh Oberoi and Johnny Lever. The film was made with modest budget of INR50 million and grossed INR2078.8 million at box office. Karisma Kapoor won Filmfare Best Actress Award and Aamir Khan won Filmfare Best Actor Award. The film created a controversial because of its kissing scene in the movie. Film was directed by Vikram Bhatt and Mukesh Bhatt and co-starred Rani Mukerji, Deepak Tijori, Sharat Saxena and Akshay Anand. The film grossed INR 20 crores at box office. Aamir Khan received nomination for Filmfare Best Actor award. The movie was remade in Tamil as Sudhandhiram starring Arjun, Rambha, Raghuvaran, Nassar and Vivek. The film was directed by John Matthew Matthan and co-starred Sonali Bendre, Mukesh Rishi, Naseeruddin Shah and Shri Vallabh Vyas. The film grossed INR 180 million at box office, becoming the seventh highest grosser of the year. The movie coincided with Kargil war between India and Pakistan. The film was remade in Kannada and Telugu. Aamir Khan received nomination for Filmfare Best Actor Award. The film was directed by Indra Kumar and co-starred Manisha Koirala, Sharmila Tagore, Rani Mukerji and Neeraj Vora. The film grossed INR 21 crore at box office. The film was remade in Telugu as Ravoyi Chandamama starring Akkineni Nagarjuna, Keerthi Reddy and Anjala Zhaveri. The film was directed by Ashutosh Gowariker and co-starred Gracy Singh, Rachel Shelley and Paul Blackthorne. The film was made with budget of INR 250 millions and grossed INR 578 millions at box office. Lagaan is the third Indian film nominated for Academy Award for Best Foreign Language Film. Lagaan won eight National Awards and nine Filmfare Awards. Film was directed by Farhan Akhtar and co-starred Saif Ali Khan, Preity Zinta, Akshaye Khanna, Sonali Kulkarni and Dimple Kapadia. It was made with budget of INR 140 millions and grossed INR 910 millions at box office. Aamir Khan won Filmfare Best Actor award and Akshaye Khanna won Best Supporting Actor award. It was directed by Rakeysh Omprakash Mehra and co-starred Siddharth Narayan, Sharman Joshi, Soha Ali Khan and R. Madhavan. The film was made with budget of INR 250 million and collected INR 925 million. The movie won Filmfare Best Movie Awards, Rakeysh Omprakash Mehra won Filmfare Best Director Award. At the time of film release the movie was opposed by Animal Welfare Board as it used a banned Indian horse race. The film was directed by Kunal Kohli and co-starred Kajol, Kiron Kher, Rishi Kapoor, Sharat Saxena and Tabu. Kajol plays blind girl role in the film. It was made with budget of INR 500 millions and earned INR 1.0414 billion at box office. At the release the film was banned in Gujarat state for Aamir Khan’s criticism about Gujarati government. Kajol won Filmfare Best Actress Award for her performance. 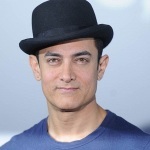 It was directed by Aamir Khan and co-starred Darsheel Safary, Tisca Chopra, Vipin Sharma and Tanay Chheda. The film was about Indian School systems and about the boy with dyslexic. Film was made with budget of INR 120 million and grossed INR 881 millions at box office. The film won Filmfare Best Film Award. Film was directed by A. R. Murugadoss and co-starred Asin, Jiah Khan, Pradeep Rawat and Riyaz Khan. 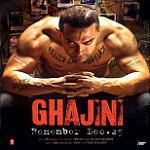 The film was remake of Tamil movie Ghajini starring Suriya, Asin, Nayantara and Pradeep Rawat. The film was inspired by Hollywood film Memento. Aamir Khan a businessman who suffers from amnesia tries to avenge the murder of his love interest Asin with the aid of photographs and tattoos. The film was made with budget of INR 450 million and collected INR1.9 billion at box office. Ghajini marked Bollywood debut of Asin and won Filmfare Best Female Debut Award. It was directed by Rajkumar Hirani and co-starred Kareena Kapoor, R. Madhavan, Sharman Joshi, Boman Irani and Omi Vaidya. The film was made with budget of INR35 crore and earned INR392 crore at box office, becoming one among the highest grossing Bollywood film. It was was remade in Tamil as Nanban starring Vijay, Jiiva, Srikanth and Ileana D’Cruz. 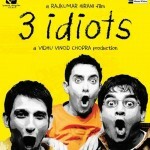 3 Idiots won Filmfare Best Film Award and Filmfare Best Director Award. It was directed by Reema Kagti and co-starred Kareena Kapoor Khan, Rani Mukerji, Nawazuddin Siddiqui and Shernaz Patel. Talaash was made with budget of INR400 million and collected INR1.74 billion at box office. Rani Mukherji won Filmfare Best Actress Award for supporting Role. It was directed by Vijay Krishna Acharya and co-starred Katrina Kaif, Abhishek Bachchan, Uday Chopra and Jackie Shroff. 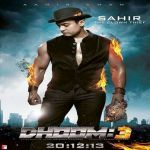 Dhoom: 3 was made with high budget of INR1.25 billion, most expensive Indian films of all time and collected INR5.42 billion at box office, becoming the highest grossing Indian film of all time.